Clinical supervision is an important feature of mental health practice and a requirement for many people working in mental health and other settings. 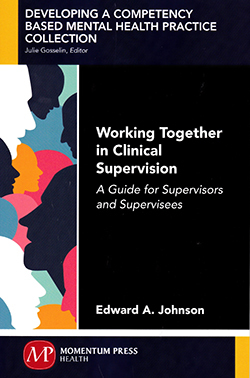 This book offers a useful overview of clinical supervision for supervisors and supervisees to support the aims of ensuring patient welfare, educating and evaluating the supervisee and helping them cope with the emotional challenges of the job. It covers different theories and supervisory frameworks that help structure clinical supervision and addresses the interpersonal elements between supervisor and supervisee. Activities and chapter summaries are provided to help readers engage with the content. The book reflects the latest thinking on clinical supervision and includes sections on working with diversity, overcoming difficulties within clinical supervision and the competencies required by supervisors and supervisees. The text is structured logically to provide guidance from the beginning to the end of the supervisory relationship and includes useful ‘goal setting’ sheets in the appendices. The emphasis throughout is on developing and maintaining a positive and collaborative supervisory relationship. It is written by a psychologist and aimed primarily at therapists, but the content is equally relevant for nurses and other allied health professionals. The accessible format and writing style means it is ideally suited to busy health professionals who are looking for an introductory practice-oriented text. It is less suited to academic settings or library use. Overall, it is a useful, well-written book primarily aimed at less experienced supervisors and supervisees. It would be most suited to busy mental health professionals seeking an up-to-date and concise text to guide their clinical supervision.